The Grass Roots Oyate and General Council remains strong on their stand as sovereign based on our status as treaty Indians (Oyate). The Grass Roots Oyate membership consists of landholders. We do not recognize the present IRA council due to proven theft of tribal monies. The Grass Roots Oyate do not recognize the IRA government as our government. Any/all actions being taken by the present IRA tribal government are considered illegal. The Black Hills are not for sale. We will continue to refuse the 1980 U.S. Supreme Court Settlement. The United States Congress does not possess any colonial powers to abrogate "the supreme law of the land", the 1868 Fort Laramie Treaty between the Teton Nation and the United States of America. No western colonial law can force the indigenous people representing the Oglala Band to accept the monies and not the land. Oyate, consider the Sacred Pipe. It means the power of Wakan Tanka is with us; when you think of money in exchange for the H'e Sapa, that power may no longer be there. Don't be foolish; money is only paper. This doesn't pertain just to the Oglalas, but to the entire Lakota Nation as well as the other tribes included in the 1868 Treaty and our relatives in Canada. Our children, grandchildren and great-grandchildren will be happy that our generation never has, never will and never shall accept the illegal monetary settlement from the blue coats or long knife society. We will never sell our Grandmother Earth. We will keep her for the benefit of our future generations. Would you sell your mother or your church? As caretakers of Unci Maka (Grandmother Earth), we need to educate the public on the causes of global warming. We need to emphasize the need to exercise our sovereignty by growing hemp for paper, other products and to replenish the air. An agrarian society must rotate their crops (corn and alfalfa) annually with hemp. If you do not take care of the soil or let it replenish itself, it turns to dust with no nutritional value and you will have no crops. Hemp will save the trees. That is the main reason for our taking up growing it. We wish to stop the lumber mills from destroying the forests. Presently, Mother Earth and all our relations are in a world of trouble due to the capitalists who have no regard for our Mother Earth. We urge the taxpayer to think of directing their tax dollars to the National Audubon Society and Sierra Clubs. We, in turn, propose to the two groups to support us in our fight to get U.S. Congress to fulfill our 1868 Treaty Land Claim, which amounts to 64/plus-million acres. We want every square inch of that claim returned to us. The day that was agreed to and signed, Wakan Tanka was there and Wakan Tanka is still here! H'e Sapa ki wiyop'e unkiya pi kte sni yelo! All Lakotas first should remember that the Sacred H'e Sapas are not for sale!! We cannot and shall not let just a few speak for us nor will we allow anyone to disperse our Lakota beliefs that monetary just compensation is right for the Sacred H'e Sapa ----- NO! NO! NO! We cannot and will not sell our Mother under any circumstance! It is not in our way to sell something that does not belong to us! Mother Earth was given to the two-legs, the four-legs, the winged ones, the water life. 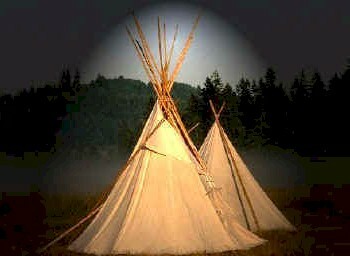 Mother Earth is here for all to live in harmony and to respect all things in life traditionally and spiritually! The H'e Sapas are not for sale!! We shall and will fight this matter--whatever deems necessary. ALL Lakota people must stand together against the U.S. Government, IRA Council and all outside forces purging this atrocious claim that we gave up our rightful ownership of the H'e Sapas. We, as Lakotas, will forever stand by, fight for and live by our true belief that the H'e Sapas belong to the Lakota and all our relatives. The H'e Sapas are not for sale!! Our Uncis and Kakalas -- not only on the Pine Ridge, but everywhere our relatives are -- stand strong with us!! Remember your children, their children and grandchildren and think of their futures. This is the opportunity to realize your dreams and to rebuild our nation. Much work needs to be done and we need everyone's input. All support -- in whatever form -- is appreciated. Wopila tanka heca. The Grass Roots Oyate and General Council meet regularly each Wednesday at 1:00 pm in the Oyate's council chambers, Oyate Building. Everyone is welcome to attend -- come voice your concerns, your opinions, ask questions, etc. If you have any questions, please call 867-5821 and your call will be directed appropriately.